Since 1972, the federal government has provided Pell Grants to low-income students to help them afford college. But the consensus that this voucher system is the best way to make colleges accessible and affordable has started to fray. Both Bernie Sanders and Hillary Clinton have proposed large new programs that would send federal aid directly to colleges through their states. Recently, New America released its own plan calling for an even more radical change: scrapping the government's current financial aid programs and directing all federal funding for higher education through the states. The report outlines how this change would lower college costs for low-income and middle-class students and prevent them from becoming indebted. But as with most complex policy issues, there is room for debate. On Friday, April 8, at 10 a.m., please join New America for a debate on which funding structure works better: the current student aid system or a state-federal partnership that provides federal aid to colleges through states. A light breakfast will be served. Both sides will have a set amount of time to make their cases, and the audience will get to decide who makes the best points. Make your voice heard and join us for a stimulating debate. 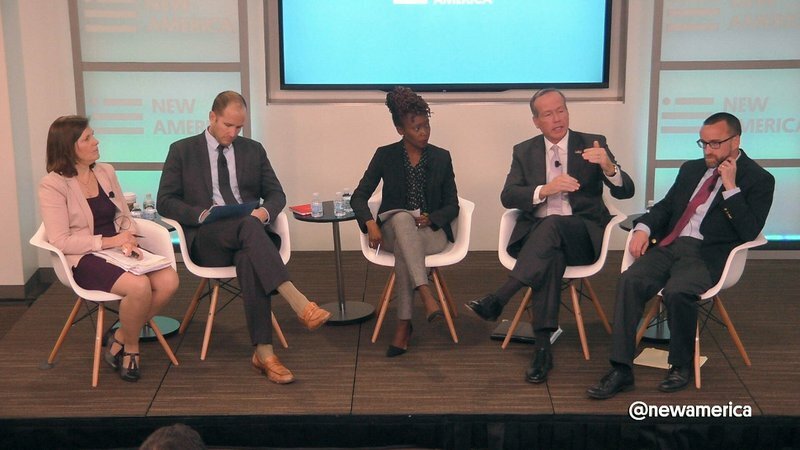 Join the conversation online using #FutureofStudentAid and by following @NewAmericaEd.